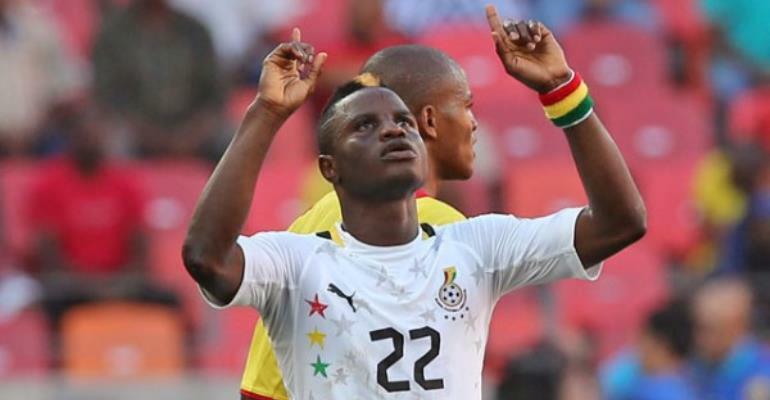 Deportivo Alves star, Mubarak Wakaso has expressed his satisfaction after earning a call up to the Black Stars. The combative midfielder was named in Kwesi Appiah's 24 man squad for the final Africa Cup of Nations qualifiers against Kenya. The Black Stars will host Harambee Stars on Saturday at the Accra Sports. Both teams have booked their place at the 32nd edition of the tournament in Egypt. However, Ghana will be seeking revenge after losing by alone in the first leg in Kasarani in September last year. Speaking to the press, Wakaso who will be making his 52nd international appearance for Ghana said, “It always good to gather and play for the national team, I am very elated to see everyone, we would approach the game with all seriousness. "Wearing the national jersey always gives me joy and demands I do my best,“ he added.